Inoxia takes advantage of a Inoxia has more than 40 years experience in the field of stainless-steel pots’ manufacturing. The very utmost in technology, Inoxia’s machineries permit to execute all the processing according to updated systems. Inoxia is equipped with its own tooling-department for the tooling’ building; therefore the whole production-cycle occurs inside the factory. Furthermore Inoxia avails itself of the sole-right of technologies patented all over the world. All range of products is well represented in the show room, where the salesmen can choose the pot-compositions according to their specific selling-exigencies. Inoxia also offers a wide choice of products and facilities to support the sales (e.g. possibility to personalize the cook-books and the brochures) and a complete service for those who would like to start to operate direct-selling (party-system). Height of the base: 15 mm. The cooking units are not simple pots, but a real cooking-system, where the pots may be combined one another at one’s will (perfect fitting of the items to one-another). The higher thickness of materials and the greatest accuracy in the execution, make the superior quality of Inoxia’s products. They have been specially conceived to be sold by Direct-selling-Organizations. 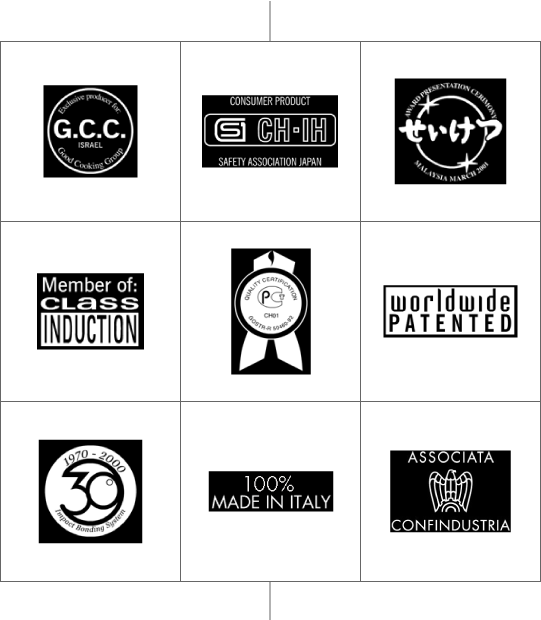 The personalization of the product is undoubtedly the main characteristic of Inoxa’s products: the possibility to mark the pots with customer’s logo, or the differentiation of the thermo-diffusing bases with technical devices, are just some of the several alternatives offered by Inoxia. With the wide range of handles, knobs and thermometers the pots can be always differentiated. Upon request Inoxia can also produce according to customer’s design. Thanks to its production flexibility, Inoxia can supply its customer either with big or with little quantities.